Top-quality, dependable, and held to an extremely high standard. 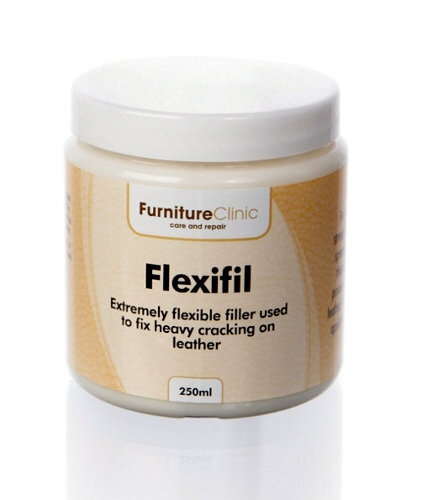 While we generally use those three descriptors to refer to our team of specialists, we can also use them to describe Flexifil: our product that’s applied to leather so it never cracks or fades out again. 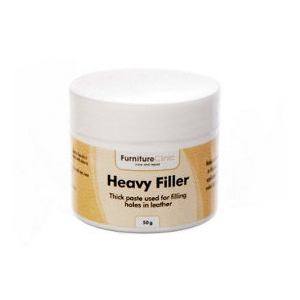 Flexifil has been developed to meet the requirements of heavy usage and extreme flexing on leather, such as heavily cracked seating cushions that come under constant use. 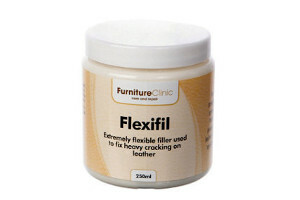 Flexifil arrives as a white paste, however, we’re all about the ability to customize at Furniture Clinic. Therefore, Flexifil can be paired with our Leather Colorant: featuring 72 standard colors from our Color Chart, that allow you to change the color of Flexifil to match your particular shade of leather. For those of you who always say “I wish I cooked more so I could make more use of my cooking utensils” we have the perfect compromise for you! The product is quite viscous and should be applied to the leather with the use of a spatula. The product is spread over the targeted crack in your leather - just like spreading butter! Flexifil will sink into the cracks, forming a strong bond with the leather. The next steps are quick and easy. Use a hair drier to cure the filler, which should only take a few minutes to thoroughly dry. The product will shrink as it dries, so several applications may be necessary. Each layer can be sanded smooth so that it blends in correctly with the leather. 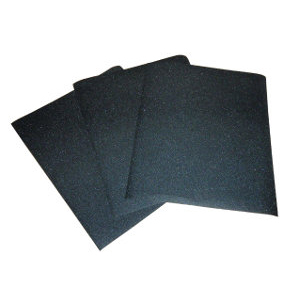 Our team uses Flexifil everyday – even outside of work, when we don’t have to! – because we’ve seen the exceptional results that this product provides. We want you to see them too, and that’s why we’ve made our online ordering process easy, in addition to having our team of specialists on-hand to answer any and all of your questions. 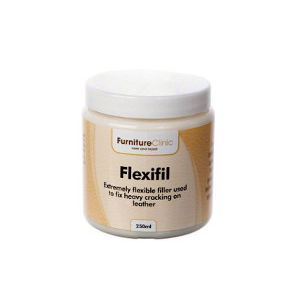 For the most stubborn leather cracks, and to protect your leather surfaces from future cracking, buy Flexifil online today for quick, easy, and cost-effective results. Thank you Jesus for this product. 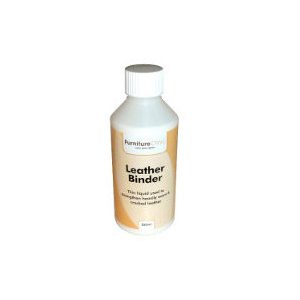 I have a bonded leather sofa that was cracking before my eyes and I can't afford a real leather sofa at the moment but this product saved me from embarrassment and a whole lot of money. TWO BIG THUMBS UP!!! I have to order some more. But next time with the black color. :) Fast Delivery also.